My partner and I arrived in Ottawa two months ago, and we consider ourselves very lucky to have found a home here in Sandy Hill. I am from Calgary, Alberta and my partner is from Auckland, New Zealand. In the past three years we haven’t lived a very typical life. We met online and started living together from day one when I left Calgary for an overseas experience just after graduating from university. In New Zealand, we lived remotely in the hills of the Marlborough Sounds; we then migrated to the adrenaline capital of the world, Queenstown, which is nestled in a mountain range called The Remarkables. From there, we “wwoofed” with a young family as au pairs (live-in caregivers in exchange for food and accommodation) and somewhere along the way we travelled Southeast Asia for two months. Finally, I returned home to Canada after 18 months abroad, this time with my kiwi partner in hand (kiwi is to New Zealander as canuck is to Canadian). Calgary was the same as always, and got old quickly. After 10 months, we were eager to hit the road again. Over the course of the next three months, we lived in a van as we traveled the US down the Pacific coast and east through the Southern states. Then up we came through the Atlantic states and into the Midwest before getting to Canada through the Port Huron/Sarnia border crossing. We hit the first Tim Hortons in Sarnia for the best comfort food I could have asked for. All I can remember while eating my turkey ba-con club was “we are finally safe again.” The United States provided us with a list of memories we will always remember, but it also gave us unprecedented stress levels that we are trying to forget. When we began house hunting in Ottawa, we had three factors in mind—safety was the priority—then came an accessible loca-tion, and of course, it had to be affordable. We looked at four places in total. The first was a dump in Centretown, the next was our beautiful Sandy Hill apartment, and the other two were in Vanier. Not knowing what any neighbourhood was like, we had to learn through experience. The houses in Vanier didn’t appeal to us, and that made Sandy Hill an easy choice. After living here for two months, we know we made the right decision. The first thing we noticed was the number of bicycles left outside at night, still to be there in the morning. In Calgary, I never saw families walking around past 10 p.m. like I do here. I never saw young females walking around alone into the wee hours of the night—that sure says something about how safe Sandy Hill is, and Ottawa as a whole. We are proud to be Sandy Hill residents every day of the week, except for Monday. On Mondays, while we eat dinner, people come sifting through our garbage and bombard us with questions about what they can take, while we are trying to have a nice dinner together at the front window. Other than this, Sandy Hill has been safe, pleasant, and has even made us become more active; we bought bicycles before we bought a dinner table or a couch. 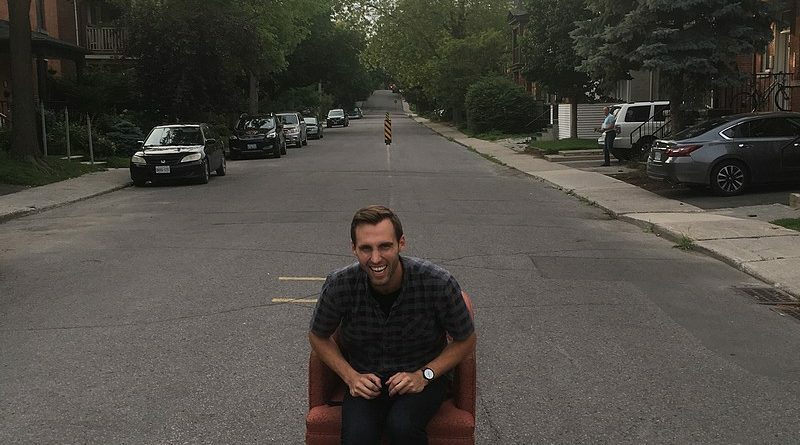 Oh, and thank you to all the residents who leave furniture on their lawn for others to have—we sure love our new orange chair. I’m 18 years old and enrolled in the Nursing Program at Ottawa University. 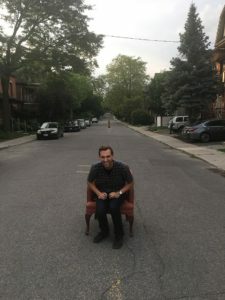 Since I am from Hamilton, the move to university was not only a large step academically but physically as well, and in the days ahead of my departure I was both nervous and excited. What would university be like? All I got from people was that it was a lot harder than high school on your brain and your liver. I expected to be either overwhelmed by the workload or struggling to put the functional in function-al alcoholism by the end of the week. None of my expectations were fulfilled. 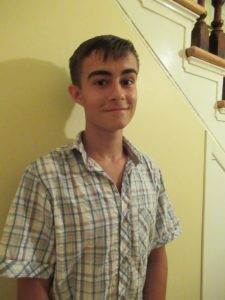 In fact, upon meeting my roommate Jarrett (an awesome lad), going to the first few lectures, and taking a trip to Gatineau (10 minutes by bus from my residence, God Bless Quebec), I realized that the differences between university and high school were more subjectve than I thought they were going to be. Yes, there is more to learn, but if you chose your program well and are managing your time well, it’s not impossible. Moderation already seems like one of the most important aspects to university life. The amount of free time is also almost overwhelming, and it’s hard to continue to be productive consistently. I have a gym membership which I’m trying to use as much as I can, as well as looking over the notes and slides from my classes. One of the worst things I’ve heard from people recounting their university experience is the late-night, day-before-exam study sessions. I’m hoping to avoid that but I’m sure no one goes into university expecting to be up at 3 a.m. trying to study Social Contract Theory in between mental breakdowns. University is not what I expected, but hardly in a bad way. So far it’s been great and I’m looking forward to the years to come!